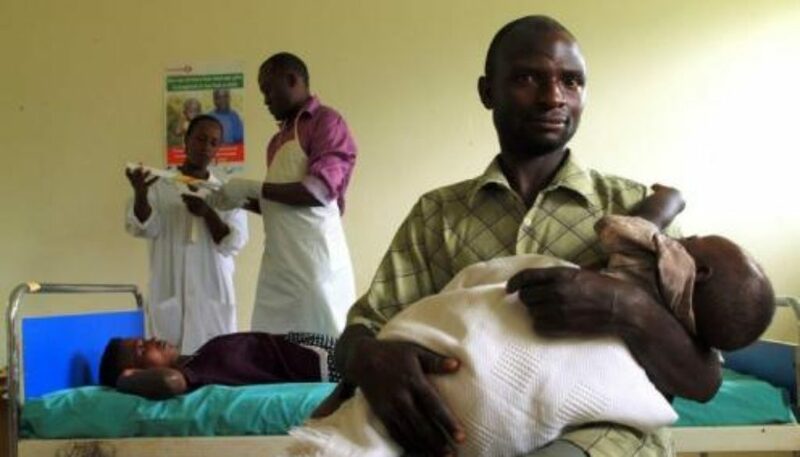 This blog explores the role of men in maternal health and asks: does an inherent tension exist? There has been a lot of attention on women’s maternal health, not least because of the MDG targets, and this will continue with the SDGs. But how much of this work should be focused on bringing men into the world of maternal health? At one level, men are often the ones who control women’s access to health seeking and health care. At another level, women’s maternal health remains a domain, which is intimately based on their bodily integrity and laden with social significance, such that some argue that women should exert exclusive power. In Bangladesh, some mHealth activities have sought to recognise the roles of men as gatekeepers to women’s health. Instead of only sending SMS messages to pregnant women, they also send them to husbands or other significant men who have been identified by the women. This seems to play two roles: it encourages men to take women’s maternal health seriously and makes it harder for these men to block women from using maternal health services. But does it also play a role engaging men in maternal health? Does it also give men maternal health information which they find interesting and useful? Is it helpful at all, or potentially harmful (i.e. does it increase their power over women)? This leads us to ask: is there an inherent tension in involving men in maternal health – are we in fact increasing male authority in a domain that was at least partly in women’s control? Brazilian feminists have argued for a long time against the ‘maternal infantilisation’ of women, i.e. that women should still have primary authority about what happens to their health and bodies, including when it comes to pregnancy and childbirth. When we seek to engage men in maternal health, we need to ask whether it is done in a way that would be considered unethical or would in fact inhibit women’s autonomy (e.g. encouraging forms of community surveillance that take away women’s right to privacy). Questions that need to be asked include: when is it acceptable to share health records of one person with another and what are the gender dimensions involved? Under what conditions should men be encouraged to actively participate in women’s maternal health? Are there ways to involve men, to promote gender equality and sustain women’s autonomy? What kind of services and support mechanisms do we need to navigate this? This is not to say that engaging men is necessarily counterproductive. In India, our experience shows that the framework which guides such engagement is what matters – it should not be instrumental, i.e. we should not engage with men because they are “decision makers”/”gatekeepers” and can affect service uptake, but as partners who have a responsibility to share the burden of contraception, childbearing and rearing, and who have a responsibility and interest in advancing gender equality. Rather, that the basis of engagement aims to foster a recognition of, and discussion around, men as fathers and male privilege. As feminists have long known, men must be involved in the dismantling of structures and harmful social norms that jeopardize women’s well-being – norms such as early marriage, early childbearing, violence, restriction of mobility and so on. Even then, there is a temptation to persuade men to support women’s health and empowerment through an easier route by making utilitarian appeals like “if your daughter is well educated, she will be a good mother”. While this may help to convince the community to not force their girls to drop out of school, will it not further essentialize women’s roles as mothers? What is the role of health systems researchers in addressing this issue? Health system researchers are in a unique position to support policy champions and bridge the gap between research and policy by linking appropriate policy audiences in developing research, disseminating research findings effectively to different stakeholders, and supporting a policy community to work on issues informed by research. A recent review, critically examining the emerging evidence base on interventions that engage men in maternal and newborn health, has found important gaps in how male involvement is conceptualized, and recommends more research to document the gender transformative potential of these interventions. Building on this, we call on health systems researchers to investigate the context specific gendered determinants of maternal health, and be aware of how interventions interact with these contexts. Such informed investigations would ensure that evidence based approaches to engage men keep gender equality, women’s autonomy and rights at the center, rather than focusing instrumentally on health outcomes alone. We need efforts that engage policy makers and implementers in supporting long lasting change, rather than superficial measures that further involve men in maternal health in ways that may not be helpful and indeed in some instances be harmful. Sana Contractor is a Programme Manager with the Center for Health and Social Justice, New Delhi. ASM Shahabuddin is a Researcher in the Unit of Maternal and Reproductive Health, Department of Public Health, Institute of Tropical Medicine, Antwerp, Belgium. Linda Waldman is a Research Fellow at the Institute of Development Studies, University of Sussex, UK. and asks: does an inherent tension exist?